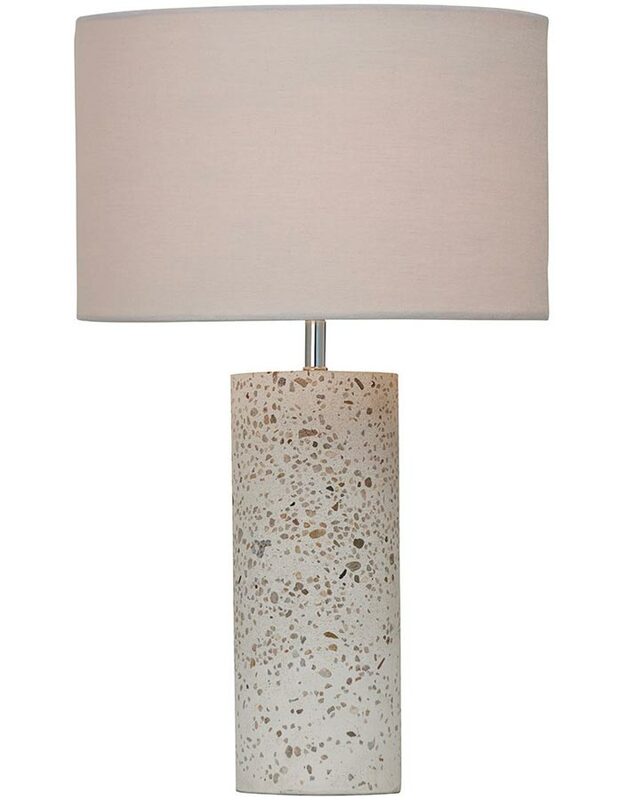 This Speckle terrazzo stone concrete table lamp with light grey shade features a trendy concrete cylinder base decorated with terrazzo stone chips and fitted with a convenient inline cable switch. Supplied with 11″ light grey fabric drum shade as shown. 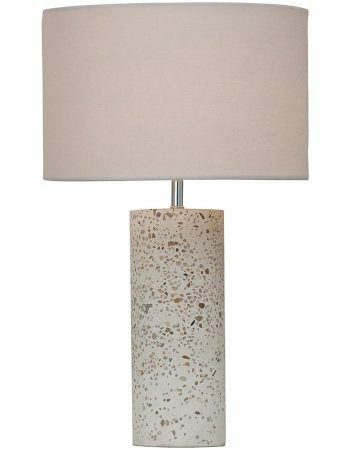 A lovely smaller sized table lamp in neutral colours that fits with almost any interior style and looks fantastic in a dining room, living room, hallway or bedroom.